Pop-O-Gold Floor Model. 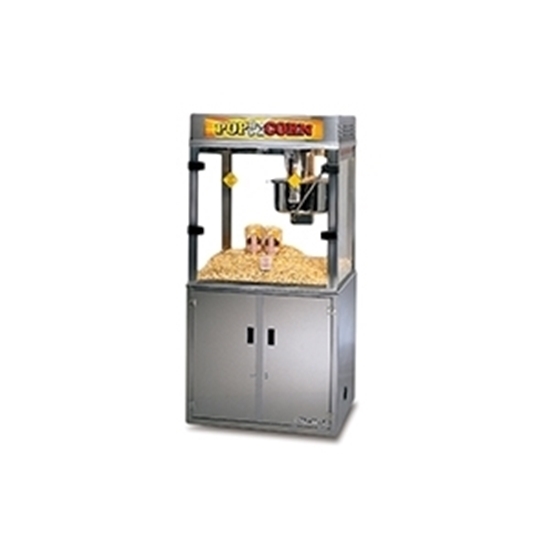 32oz Popcorn Machine with Base & BIB (Bag in Box) oil system. Measures 36" x 28" x 80"